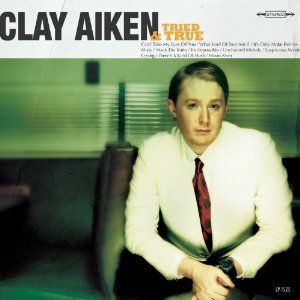 On his recent album, Tried & True, Clay Aiken recorded the beautiful Roy Orbison song, Crying. According to many polls and discussions, many people consider this song one of the best on the album. Roy Orbison was a popular singer-songwriter and was known for his musicianship and powerful voice. He was born in Texas in 1936 and sang with a country band throughout high school. Roy was at the apex of his career in the mid 1960s. He had a recording contract with Monument Records and 22 of his songs charted on the Billboard Top Forty, including Crying. Orbison had a singing range of three to four octaves and he sang with great passion. The musical arrangements were almost always complex and classical in style. I’m not a super personality—on stage or off. I mean, you could put workers like Chubby Checker or Bobby Rydell in second-rate shows and they’d still shine through, but not me. I’d have to be prepared. People come to hear my music, my songs. That’s what I have to give them. Roy died of a heart attack in December of 1988 after spending a full day with his family. He was 52 and his death was a shock. After his death, Roy received many accolades. On Rolling Stone’s list of The Greatest Artists of All Time, Orbison is placed at #37 and is #13 on their list of the 100 Greatest Singers of All Time. In Billboard Magazine, Orbison was listed as #74 in the Top 600 recording artists. Have you ever seen Orbison in concert? It must have been an amazing time. On October 14, 2010, Clay Aiken performed Crying with Casey Thompson as part of his WTTW – Chicago Benefit concert. The following video shows not only the great performance by the two of them, but the relaxed friendship that Casey and Clay seem to have. Enjoy! "Crying" is the best song on the CD. I believe this and have been told this by NJU who I have given the album to. I recall another performance in 2003 where a singer wore black clothing. He stood stock-still and by himself on stage. That motionless performance of "Solitaire" was lauded by the judges as the best of his AI2 season. I love the performance by Clay and Casey. Having been at both the taping and the special, I have to say that I like this performance better. Perhaps there is more chemistry between Clay and Casey than there was between Clay and Linda. I love both performances but Casey holds a special place in my heart after the Timeless Tour. It should be illegal to be so beautiful, so slim, so sweet and have so much talent. I hope Casey tours with Clay during the T'n'T tour. Can't wait! I saw Roy Orbison many years ago on the Johnny Carson show singing with a very young K D Lang. I'm not positive but I wouldn't be surprised if they sang Crying. I believe they recorded it. I love Clay and Casey together, they're voices blend so beautifully. There's a real magic there. Hope we can look forward to more of the same. I have always liked Roy Orbison's version, but Clay just takes this song, like so many others, and knocks it out to the stratosphere. Such a beautiful version. Now I would only listen to Clay sing this song. I have to admit that Crying is one of my favorite songs on the Album. I also like both versions..but, there is just something a little more special and intimate with Clay and Casey singing it together. I just love her..she is adorable and can really sing. It would be nice if she could tour with Clay next year. I was at the Chicago concert and "Crying" was wonderful. Clay and Casey's voices blend together so well. Error: Error validating access token: Session has expired on Tuesday, 21-Aug-18 16:13:01 PDT. The current time is Sunday, 21-Apr-19 21:56:06 PDT.